Nitin has over 15 years experience in operations, marketing and strategic planning in technology companies ranging from Fortune 50 corporations to technology startups. In his current role, Nitin leads all aspects of Condado Group’s operations. Nitin’s goals are to ensure that Condado’s processes and systems are optimized to deliver the most value to our clients. 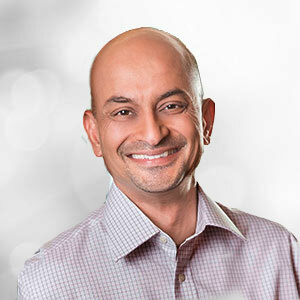 His prior experience includes stints as VP Operations at Ascend Learning, VP Operations at SmartReceipt Inc, and head of marketing at T-Asset Inc. Nitin has also held executive management positions at Sprint Corporation leading functions such as operations, eCommerce, and customer support. Nitin serves on the board of the Johnson County (Kansas) Library Foundation and has also served on the boards of Niles Home for Children, a Missouri non-profit agency and Solace House for Children, a Kansas non-profit agency. He holds an M.B.A degree from the University of Michigan.